Product categories of ABS Series Carts, we are specialized manufacturers from China, Abs Series Carts, Abs Carts suppliers/factory, wholesale high-quality products of Abs Emergency Cart R & D and manufacturing, we have the perfect after-sales service and technical support. Look forward to your cooperation! Shandong Mingtai Medical Equipment Group Co., Ltd is established in 2000 year, supporting operating room and ICU medical equipment. Since company established, continue to develop, keep making progress, let people enjoy the health future with better quality and service. Mingtai products get ISO13485, ISO9001, CE & SFDA certification. Mingtai company have many patents. 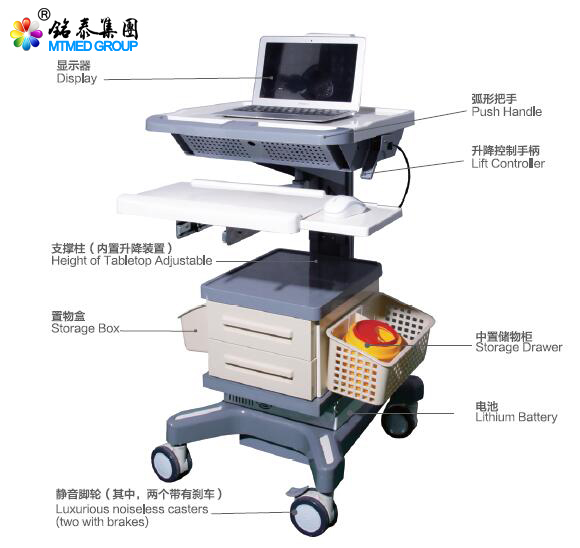 Mingtai brand series Operating Light, Operating Table, gynecology examination table, Medical Pendant, Hospital Bed and air disinfection equipment meet different distributor and customer`s different requirement.